the last few decades. Early education can prevent our children from strokes, heart disease and even some types of cancer caused from obesity. Unfortunately, nutrition and health curricula are not easy to find, and many schools do not offer a health and science curriculum. Luckily, Nutrition 101 Choose Life was developed by a group of Christian moms who got together and decided they would create the perfect nutrition program for students and their parents. The curriculum has an extremely unusual way of relating how the human body reacts to the food we eat and which foods are most beneficial for each individual body part. For instance, the brain and nervous system unit studies the anatomy of the brain, how it works and which foods are most beneficial for the brain. Blueberries protect the brain from stress, thus preventing diseases such as Alzheimer’s; avocados contribute to healthy blood flow to the brain, which means a healthy brain. In addition, the foods that are harmful to our brains are listed with detailed explanations. A delicious recipe is then suggested to incorporate the lesson. Guacamole, for example, is the recipe included for optimal brain function. There are over 70 delicious recipes included in the curriculum for your family to enjoy. Make sure to involve your child in the preparation of the recipes included. This is intended to be a part of your child’s curriculum. Not only is cooking a great hands-on learning experience for your child, it can also be a great way to teach certain math skills such as measurement, addition and multiplication problems. The curriculum also has tips on how to pick the best avocado or how to know if a melon is ripe. Parents can take their little learners on a trip to the supermarket. The children can weigh the fruits and vegetables, discussing how many ounces are in a pound or how many oranges would it take to equal two pounds, etc. Several great math lessons can grow out of this curriculum. Nutrition 101 is a home school curriculum with tons of information for all ages. Besides the topics listed above, it contains several activities, discussion questions, ideas, and additional resources. While some of the material is geared toward secondary students, most can be carried out for primary learners as well. Primary learners will find a lot of fun hands-on activities. Parents can plan field trips to fruit or animal farms. Parents will have access to new, healthy recipes and information on how to prepare meals for family members with certain health problems such as high cholesterol or diabetes and which ingredients can be substituted for a healthier dinner menu. The entire curriculum is $80. 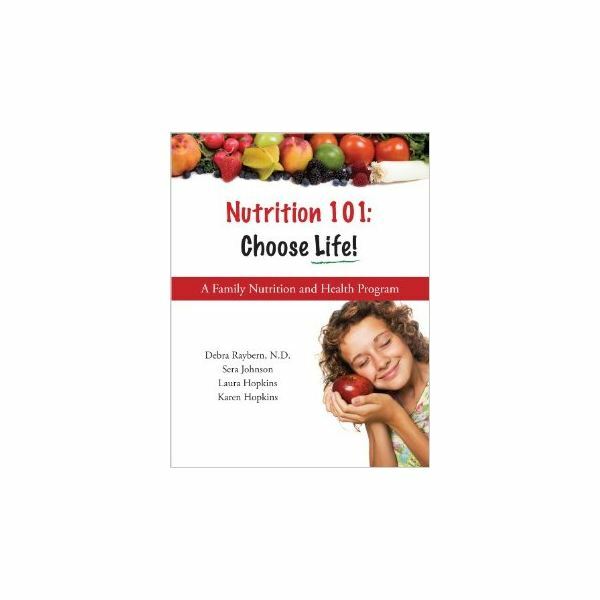 Nutrition 101 Choose Life is among the best science and health curricula on the market today. It’s not just a Health and Science curriculum for children; it’s a new way of life for the entire family. Growing Healthy Homes: Nutrition 101 Choose Life purchase options. Also available on Amazon.